Cupertino, CA – December 17, 2013 -- This month, All Access Radio, a BlogTalkRadio show produced and hosted by Kelli Richards, CEO of the All Access Group, reached its one millionth download. Each week Kelli Richards interviews artists, friends, industry leaders and innovators on the show in a warm & inviting fireside chat format. Select past guests on the show have included: Linda Ronstadt, Alan Cohen, Ty Roberts (Gracenote), Rich Litvin, Robby Starbuck, Tom Silverman, David Pack, Jim Griffin, Gary Goldstein, Ian Rogers, and many others. An Apple Inc. alum, Kelli was literally a media trailblazer, uber-connector and influencer across media, digital music, entertainment and technology. In recent years, she's been actively involved in dozens of startups and funding opportunities as well. Kelli literally and figuratively lives in the crosshairs of Silicon Valley, forecasting trends and connecting leading tech decision makers and top tier creative talent to one another. All Access Radio is an outgrowth of those conversations. A sought after consultant, mentor, producer and speaker, Kelli and her team consistently work their magic bringing dynamic business opportunities to life by bringing together best of breed tech companies, record labels, film studios, consumer brands, artists and celebrities, investors, and industry luminaries and thought leaders. Kelli envisions and executes on a very big scale. She also works with a range of disruptive, innovative start-ups as an advisor, acting VP of Strategic Partnerships, and periodically connects them with financing sources. Each week on All Access Radio, Kelli interviews Industry Leaders, Authors, Artists/Celebs, Tech Entrepreneurs and Innovative Disrupters that are re-shaping the world as we know it. Do you have what it takes to be featured as a guest on All Access Radio? If you are looking to impact the world in a big way, we want to hear from you! 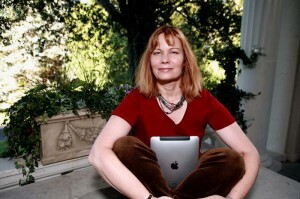 Prior to launching her company, The All Access Group, Kelli was responsible for launching and driving music and entertainment strategies during her many years at Apple; and was fortunate to have been personally mentored by Steve Jobs. She was also an A&R exec at EMI Music, and has been a Board of Governors member of NARAS (the Grammys). Kelli is also a celebrity wrangler & talent producer for nearly three decades. And she's a thought-leader having published several best-selling books, including "The Magic & Moxie of Apple: An Insider's View". Certified as a coach both by the Institute of Integrative Coaching (founded & run by bestselling author Debbie Ford), and by The Foundation for Holistic Coaching (founded and run by bestselling author Alan Cohen), Kelli is one of less than 20 people in the world who has achieved the status of Integral Master Coach being personally mentored by Alan Cohen. She's one of fewer than 40 people globally who has also been personally trained and mentored by Alan Weiss ("The Million Dollar Consultant" & author of over 50 books) as one of his Master Mentors. For more information, visit Kelli's site at "www.allaccessgroup.com" -- and learn about her exciting new coaching program launching in 2014 at "www.innerfluence.com".